The Standings | American McCarver. Your Sports Blog. The post at end of the railing at the top of the stairs is where my sons put their baseball caps, accumulated over the years from all sorts of places — birthday parties, unfortunately-named little league teams, baseball camp, 2009 NLCS misprint sales. 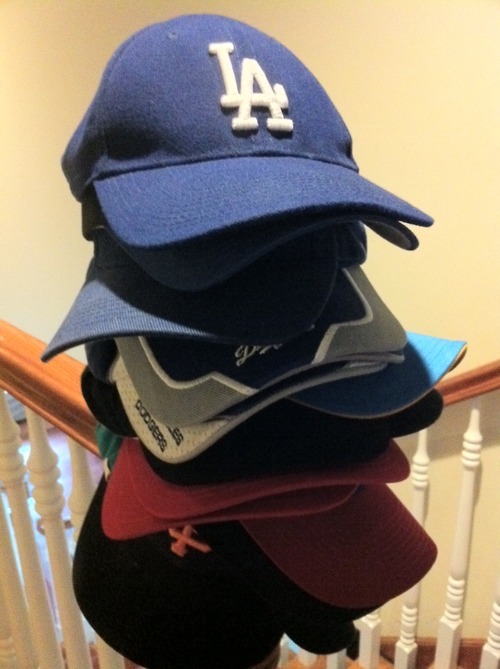 At least the Dodgers are on top of one pile.